Low Inventory - Only 3 In Stock, Will Ship On: 04/25/2019. Acquamark(R) corks are a high quality natural cork that filled with natural cork paste, that seals small defects. A great value in a natural cork for long term wine storage. These are 45mm by 24mm in size (legacy size No. 9 X 1.75"). Made in Portugal. Bag of 100. 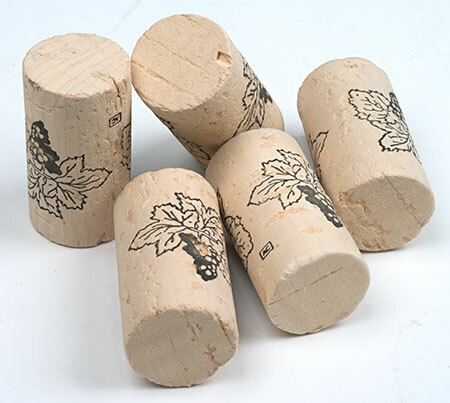 We recommend using a bench corker only with these corks, as hand corkers will not fully insert these into bottles. These corks are a little tighter fitting than the ones I used before, but I use a bench corking tool, so it wasn't all that difficult to seat them. They definitely feel more dense than the other corks I've purchased from Williams, and we'll have to see how they hold up as the wine ages. I believe I would purchase these corks again and would recommend them to others.